Welcome to 2015! I’m looking forward to an absolutely amazing year, and hoping you all have one as well! 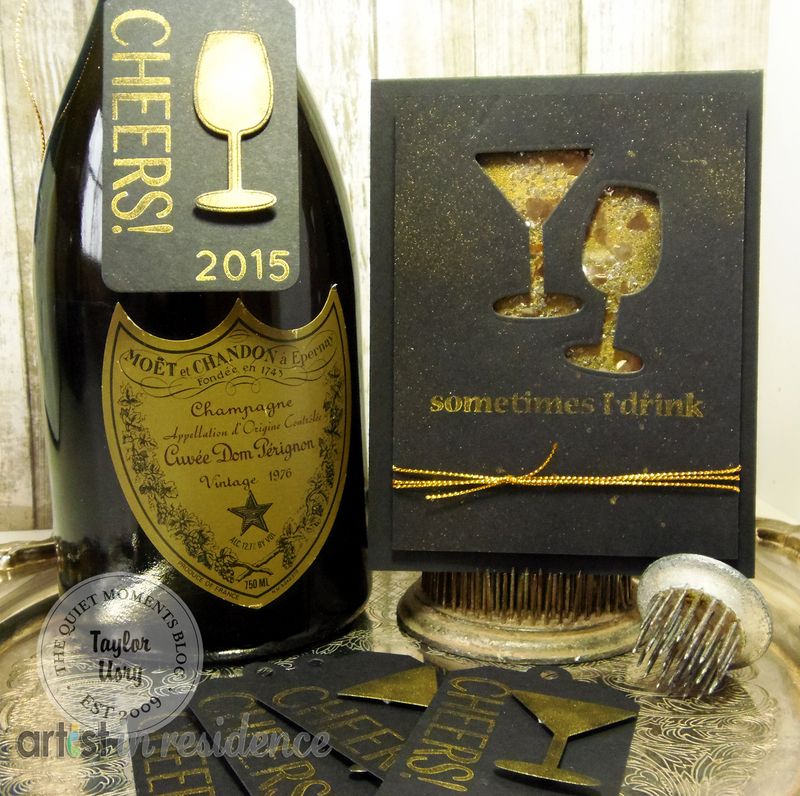 I thought I’d put together a fun and easy project to usher in the year, and what better way to celebrate than with a bottle of bubbly and some glitz & glamour? 1. Die cut two glasses from black cardstock . For this card, the negative will be used. 2. 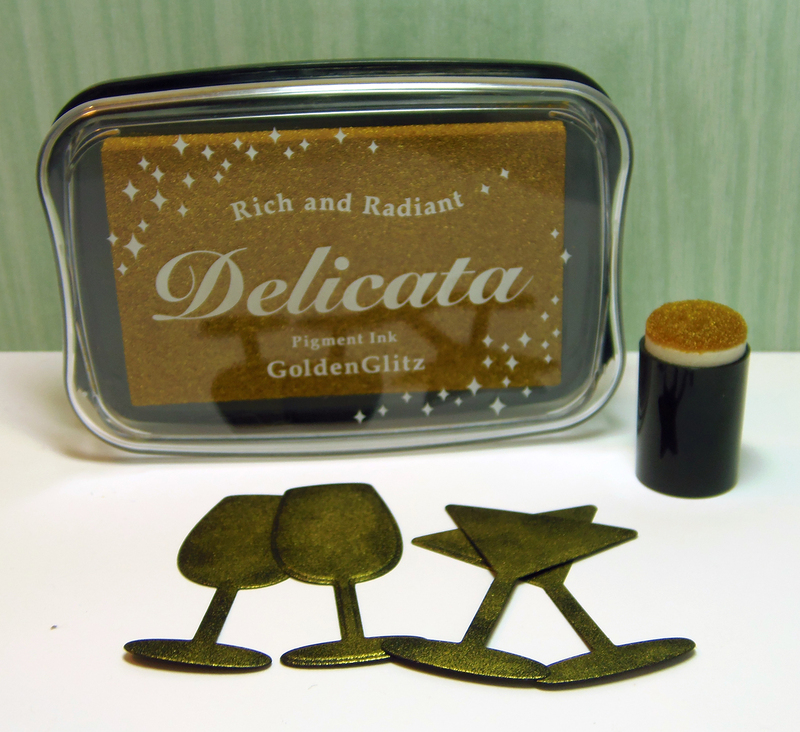 Stamp sentiment using Delicata Golden Glitz ink. 3. 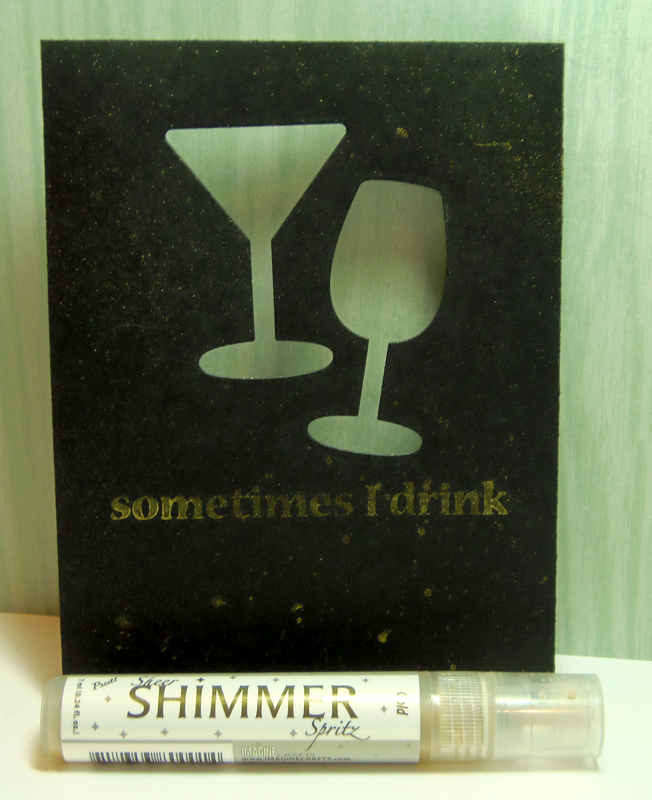 Spritz panel with Shimmer Spritz in Gold. 4. 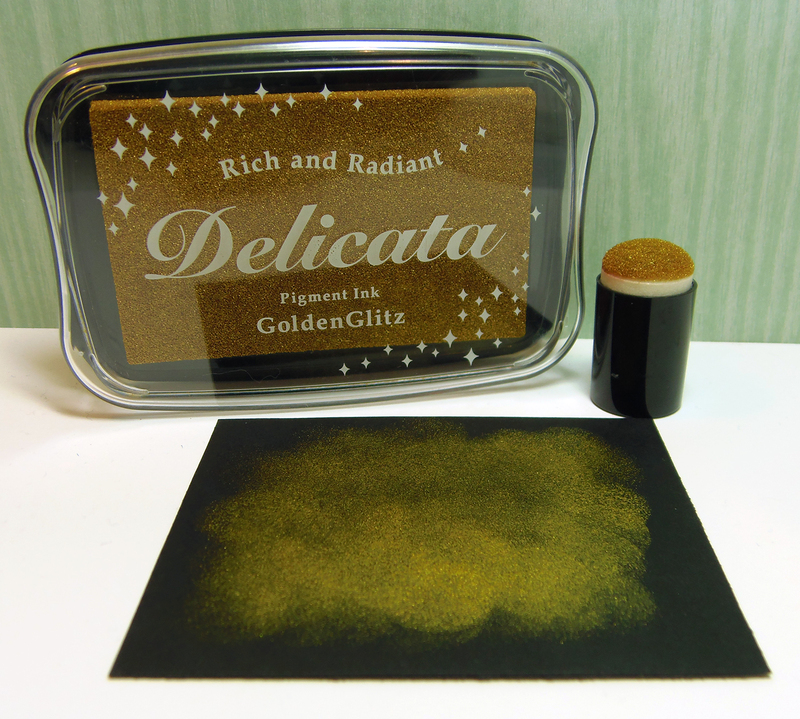 Cut a smaller piece of black cardstock and use a Sponge Dauber to add gold ink. 5. 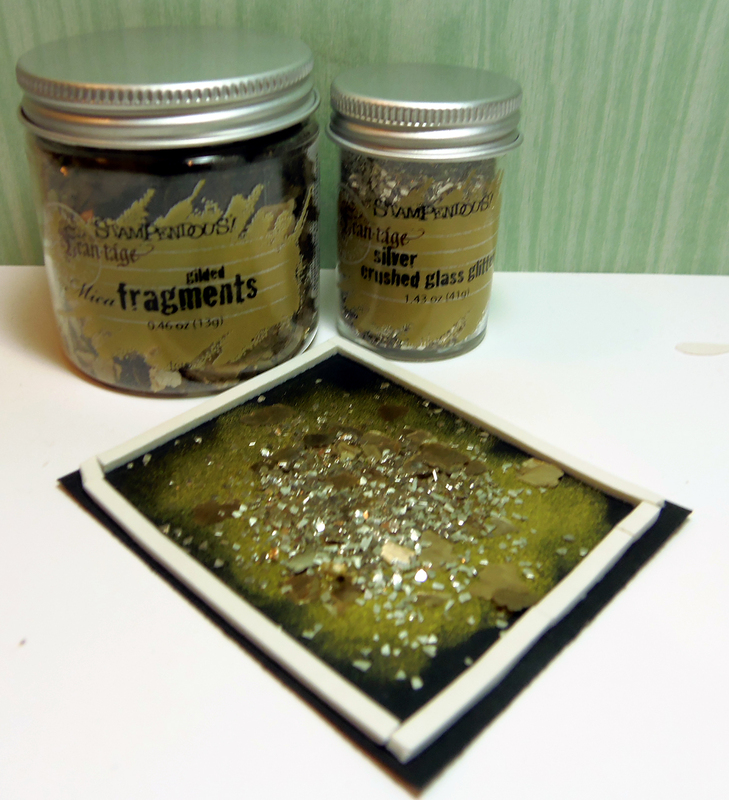 Add mica fragments and glass glitter. 6. Place adhesive strips around the outer edge of the panel. 7. Add clear plastic or acrylic on the top. This creates the shaker box. 8. 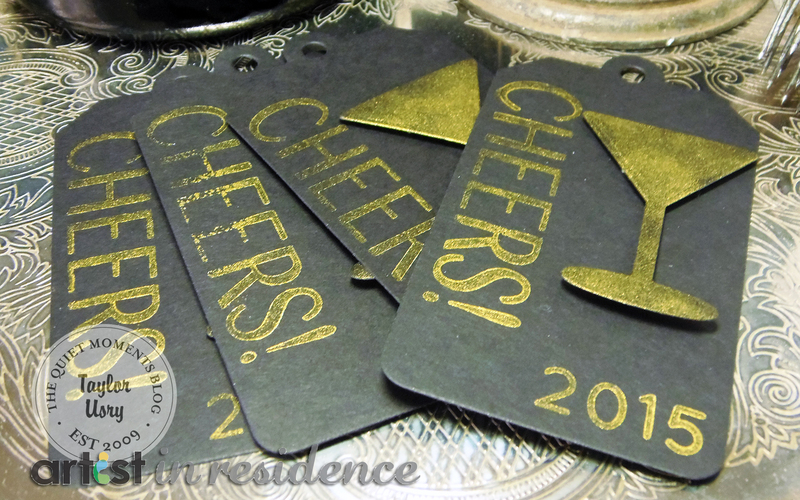 Die cut tags with black cardstock. 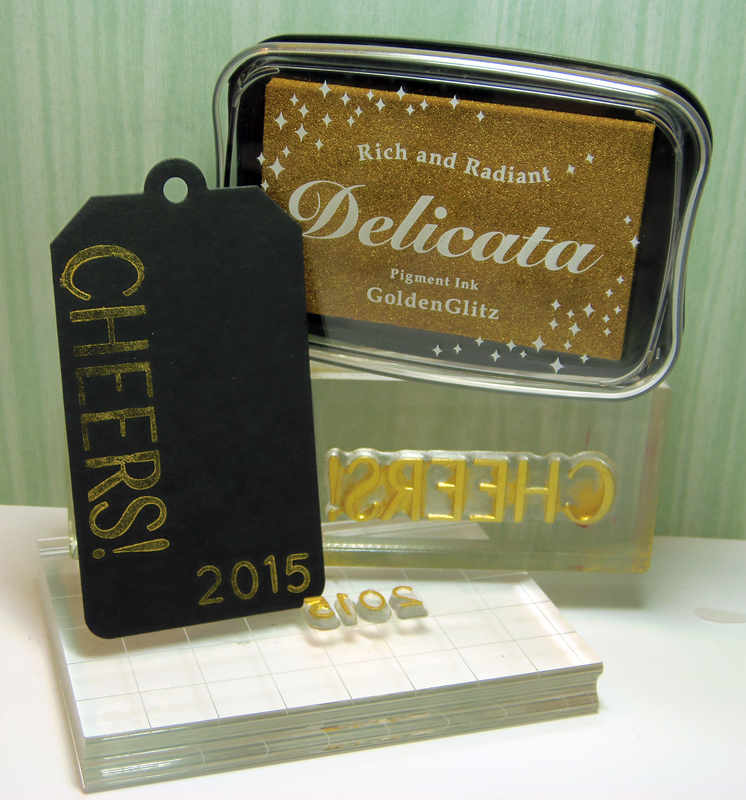 Stamp sentiment and numbers using Delicata Golden Glitz ink. Tip: use an acrylic block with gridlines to put the number stamps on, to be sure they are aligned correctly. 9. 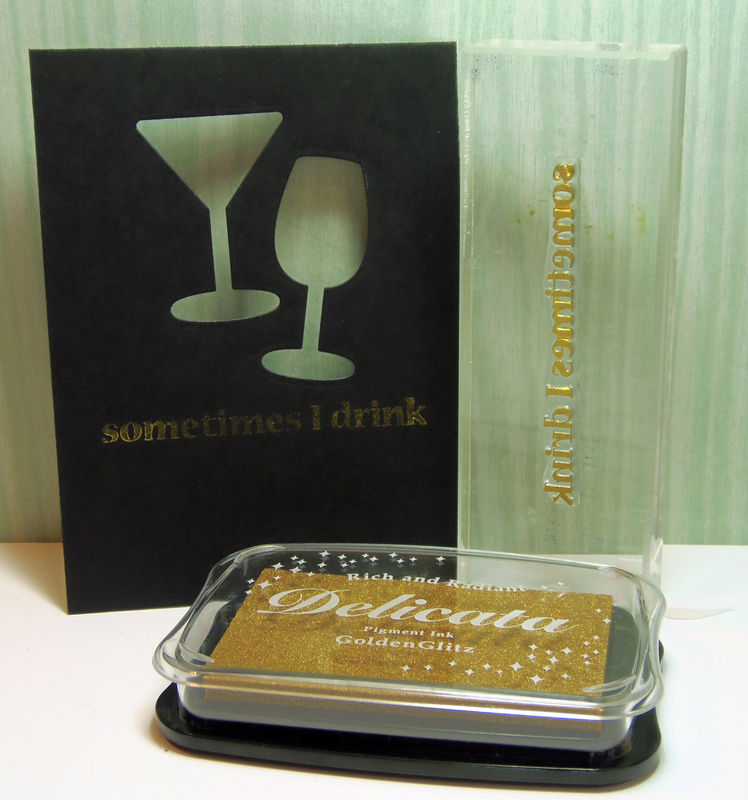 Use a sponge dauber to add gold ink to die cut cocktail glasses. 10. 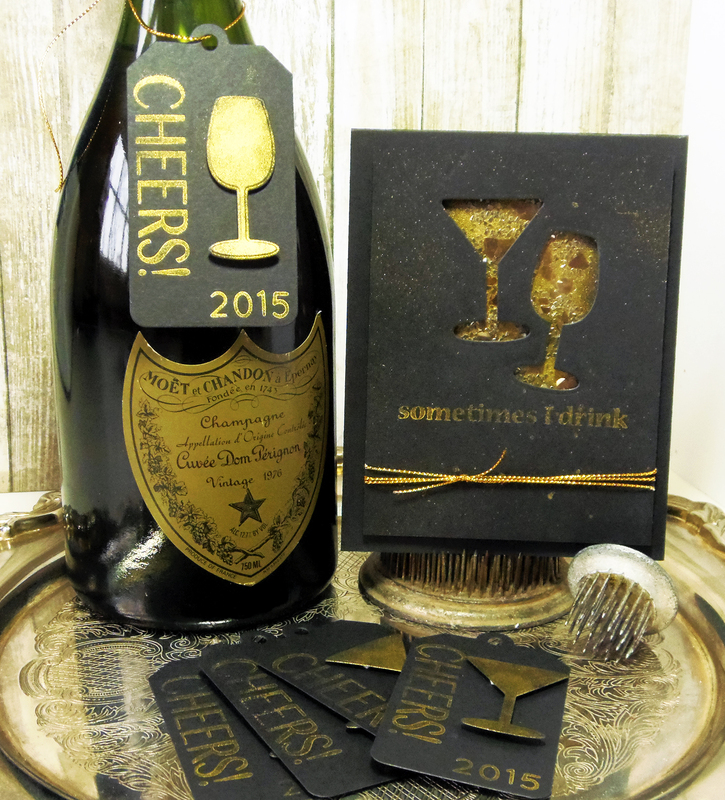 Add die cut glasses to tags with foam adhesive. 11. Adhere shaker box behind negative dies on larger cardstock panel using foam adhesive. 12. Tie gold ribbon around entire panel. 13. Use wet glue to attach to card base. This entry was posted in Cards, Taylor Usry. Bookmark the permalink. These are absolutely radiant!!! So very elegant and classy! Truly timeless! TFS!